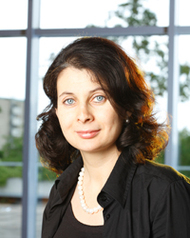 Olga Zlatkin-Troitschanskaia is professor of Business education at JGU. In the short period following her habilitation, she has already established herself as one of the leading researchers in her discipline. She investigates an extraordinarily broad spectrum of subjects, ranging from educational professionalism over educational economics to international comparisons of university and professional training systems. Furthermore, Zlatkin-Troitschanskaia served as spokeswoman of the Gutenberg Academy for Young Researchers that supports JGU’s best young researchers and Young artists in the development of their professional careers in the arts and sciences. Special issue being published in context of the newly established international research program "PLATO"
International Conference "PLATO – Positive Learning in the Age of Information"